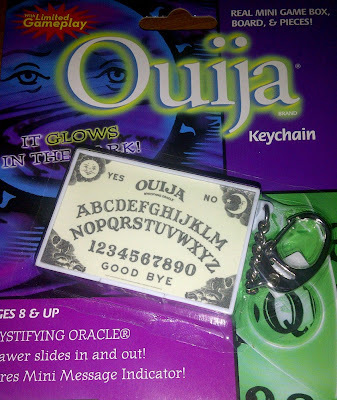 I recently received a Ouija Keychain from WholesaleKeychains website online, which is perfect since Halloween is just around the corner. 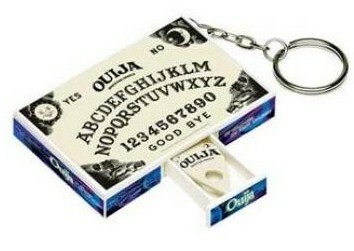 Are you looking for a fun new type of keychain? Well, this keychain is awesome because it's an actual game. They carry all kinds of keychains, anything and everything you would ever want. They carry items like: automotive keychains, digital keychains, sports keychains, USB keychains, bottle opener keychains, pepper spray keychains, knife keychains, and much more! The keychain that I received is one of the Games Keychains, and is made to last. As you can see in the photo, it's super cute and would make for a perfect little gift for the Halloween season. The holiday season is coming, this would also make a great stocking stuffer! I'm quite happy with the item I received, but I may actually save it for a stocking stuffer. I'm going to wrap this up and put it in my fiance's stocking, as it looks like a lot of fun! WholesaleKeychain's offers engraving as well, however, this isn't one that you would engrave!